This Saturday, April 30 at 2 p.m., JANM will present a special event titled Civil Rights Today: The Legacy of Minoru Yasui. Featuring a variety of speakers as well as an excerpt from the documentary film Never Give Up! Minoru Yasui and the Fight for Justice, the event commemorates what would have been the renowned civil rights activist’s 100th birthday, as well as the 74th anniversary of his voluntary arrest in protest against Executive Order 9066. The event is currently sold out. If you were not able to get a ticket, you can still celebrate his birthday by reflecting on his life and work. Minoru “Min” Yasui was a young Nisei attorney in Oregon during World War II when he violated the military curfew imposed upon all persons of Japanese ancestry in order to bring a test case to court. He lost that case in the US Supreme Court, but nearly 40 years later he reopened it as part of the coram nobis litigation brought by young Sansei attorneys in 1983. Yasui’s criminal conviction was overturned by the federal court in 1986, and two years later, Congress finally acknowledged the government’s mistake with the passage of the Civil Liberties Act of 1988. 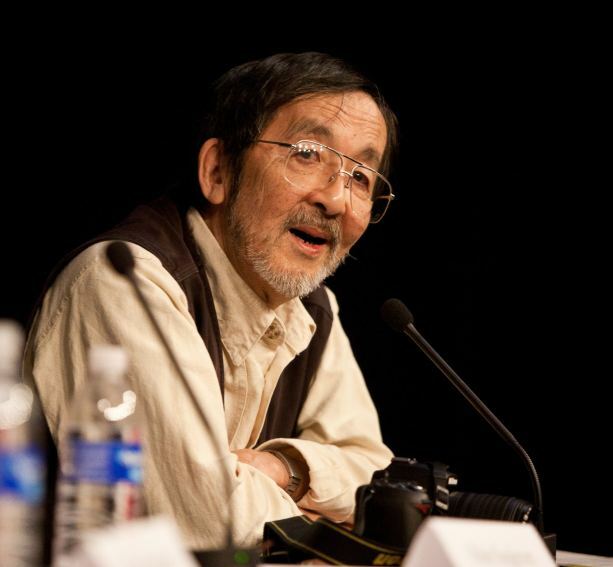 Recognized posthumously by President Obama with a Presidential Medal of Freedom, Yasui was not only a key player in two different eras of struggle, but also an outspoken, deeply committed activist all his life, working tirelessly for the human and civil rights of all people. Yasui’s life and activism are well documented. You can read his full biography in the Densho Encyclopedia. Visit the Minoru Yasui Tribute Project to learn more about the upcoming tribute event and various related activities. On JANM’s Discover Nikkei website, there are a number of first-person essays about Yasui, including a remembrance by his daughter Holly Yasui, an account of the making of the documentary film, and a reflection on Yasui’s legacy by Gil Asakawa. Finally, at the JANM Store, you can pick up a copy of the book The Japanese American Cases: The Rule of Law in Time of War, which tells the story of four brave Nisei who stood up to challenge the legality of Japanese American incarceration—Yasui, Gordon Hirabayashi, Fred Korematsu, and Mitsuye Endo. Karen Korematsu (right) visited JANM and worked with a group from a local high school. Photo by Richard M. Murakami. January 30 is the birthday of the late Fred Korematsu and it is also Fred Korematsu Day of Civil Liberties and Social Justice! Over the past few years, we have had a chance to get to know his daughter, Karen Korematsu, who has taken on the role of Co-Founder and now Executive Director of the Korematsu Institute, whose mission is to advance pan-ethnic civil and human rights through education. • A neat opportunity for teachers to hear Karen Korematsu speak as part of UC Berkeley’s “Movement, Militarization, and Mobilization: The Bay Area Home Front in WWII” NEH Landmarks of American History and Culture Workshop—deadline to apply is 3/4/2014. • A series of short videos and powerpoint presentations commemorating Fred Korematsu, courtesy of the Los Angeles County Office of Education. • Lesson plan to conduct a Korematsu Mock Trial with high school students, courtesy of Mark Hansen, a fantastic Texas teacher. I often take for granted how easy it is to follow breaking news. To find out what happened during a raid on a compound in Pakistan, I can turn on a 24-hours news channel or click on a few links to get caught up. But 50 years ago the medium of television was new. And 50 years ago today, the first buses of Freedom Riders (and three reporters) left Washington, D.C. and headed South to test Boynton v. Virginia, the U.S. Supreme Court decision that had desegregated interstate travel. What followed changed the course of the United States history. The Freedom Rides have been on our minds a lot this year. On February 9, 2011 the Smithsonian Institution’s National Museum of American History organized a Web cast and National Youth Summit that brought together Freedom Riders in D.C. and engaged five Smithsonian Affiliates from across the nation to discuss the meaning of the Freedom Rides and the role of young people in shaping America’s past and future. JANM was honored to have been selected as the West Coast venue for this program and streamed the Webcast to a live audience of students from LAUSD’s Civitas School of Leadership and Ribet Academy. Following the Webcast, Dr. Robert and Mrs. Helen Singleton, two Los Angeles-based Freedom Riders, and Mr. Tamio Wakayama, a Japanese Canadian member of SNCC, were on a panel moderated by Dr. Sybil Jordan Hampton, a member of JANM’s Board of Trustees and herself an important figure in the Civil Rights Movement. We were star struck!!! This has gotten us thinking about how the Freedom Rides impacted Japanese Americans, and especially how it may have emboldened those in the Redress Movement. What were the Issei, Nisei, and Sansei who watched these images broadcast on national television (just as that medium was becoming commonplace) thinking and feeling as they watched the buses burning, the cruel racism, and brave individuals standing up for what was right? What would you have been thinking if you had been watching those Freedom Riders make their way South under the “protection” of Boynton v. Virginia? P.S. To learn more about the Freedom Rides, tune into your PBS station on May 16 and also we highly recommend The Children by David Halberstam. Learn more about new generation of young people who are about to retrace the path of the Freedom Riders. And, maybe you can catch a glimpse of the Singletons when Oprah Winfrey reunites the Freedom Riders on May 4.